I'm thankful for the optional, extra-early Catillac package available only to spring buyers. And I'm thankful that tomorrow it will be Friday, Oct. 15, 2015. Today's product spotlight is the expanded Tucker Hibbert Collection from Arctic Cat. 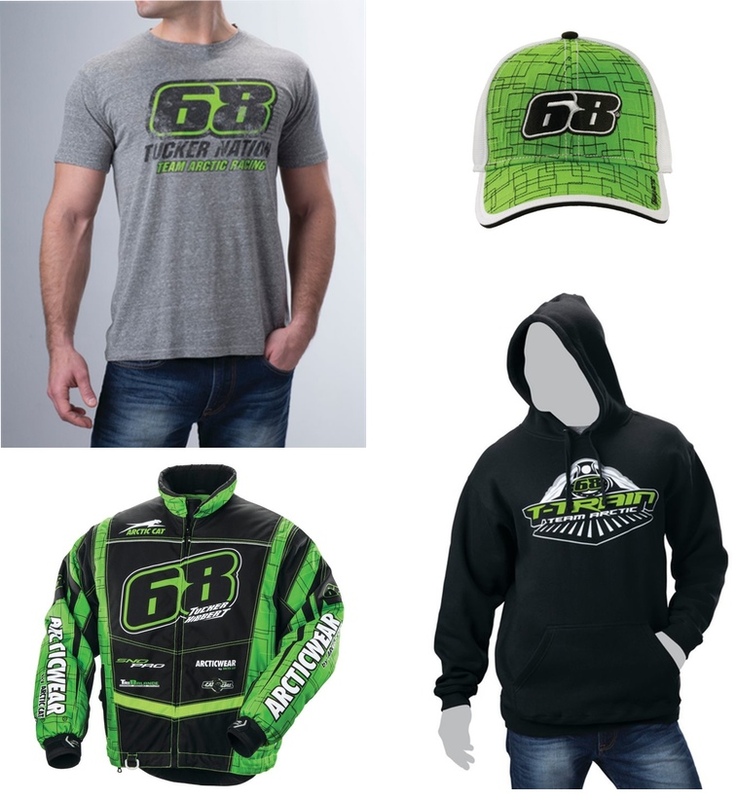 Caps, hats, shirts, hoodies...there's something for every fan of #68. Race on over to check out a few cool items. 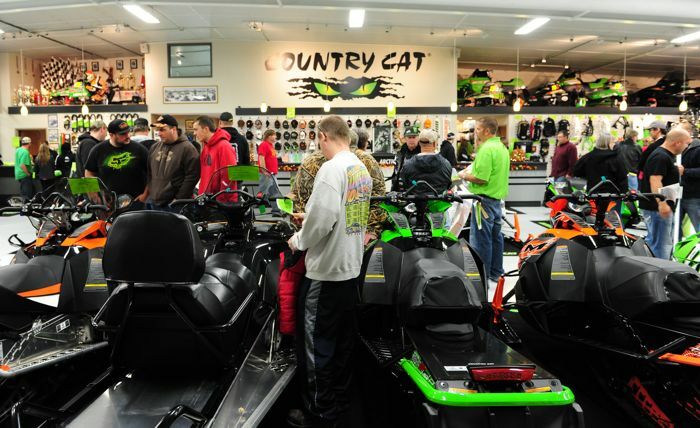 Last Saturday, roughly 1000 people came to Country Cat in Sauk Centre, Minn., for their annual Arctic Cat Open House event. With temps in the 60s and beautiful sunshine, it was a perfect day for hanging out with old and new friends. 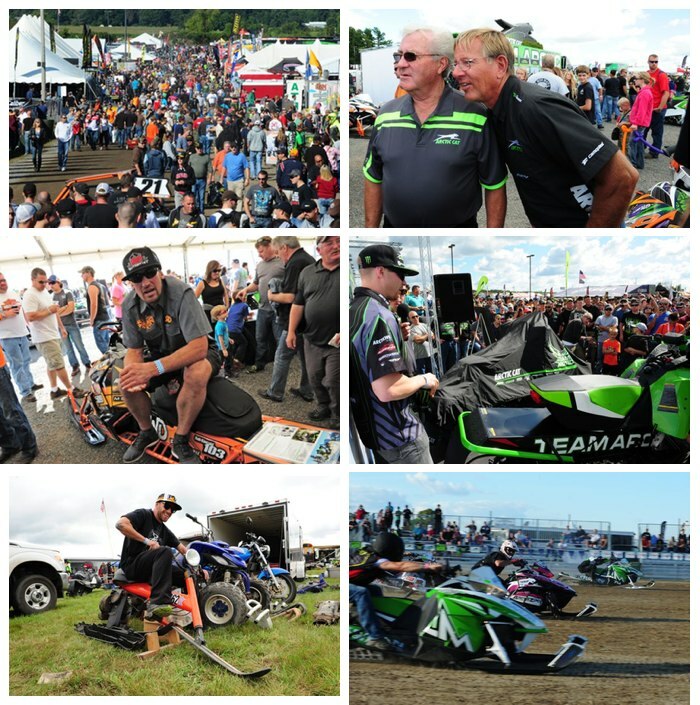 Click to see some pix of a great day of all things Arctic Cat. Superman Turns 40: Happy Birthday, Blair! Today is Superman’s birthday. He’s now 40. Yep, Blair Morgan has officially joined the ranks of the middle-aged! Blair, if you’re cruising the interwebz today and you happen upon this place, just know that there’s a whole bunch of fans who wish you the very best. I'm thankful that Bunny came to her senses and agreed to take the photo. I'm thankful she understands that I truly love her as much as I love my hot rod. I'm thankful there's nothing finer than raw horsepower and bikinis. And I'm thankful it's Friday, Oct. 9, 2015. I'm thankful for the Huck Finn-like adventure I feel whenever I ride down the river. 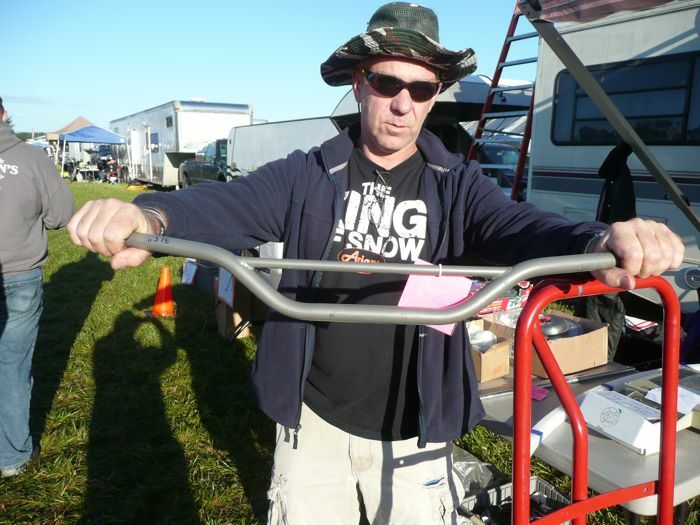 I'm thankful for the impressive control I achieve with my stand-up riding style. I'm thankful waterproof, breathable qualities of my GORE-TEX lined boots and bibs. And I'm thankful it's Friday, Oct. 2, 2015. Meeting new people is one of my favorite aspects of attending events like Hay Days, races, dealer open houses, pig races and the like. It's funny, but most conversations I have with fellow riders usually touches on the subject of what machines we ride. 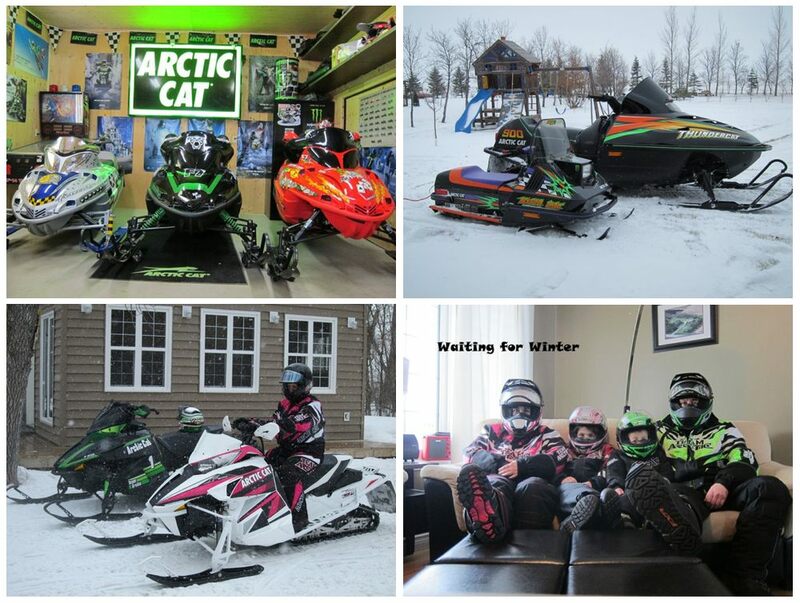 And I'm frequently amazed by the sheer number of sleds that so many Arctic Cat riders seem to own. Darin Martens is one guy I met recently (at Hay Days), and who exemplifies what I'm talking about. Click to see a true Cat fan. It's that time of year again...the classic Open House event at Arctic Cat dealerships. Where the combination of great conversation, great displays and great deals produce the perfect shot of preseason ether to ignite our passion for the coming season. Like the one at Country Cat in Sauk Centre, on Oct. 3. I'm thankful I can escape all of life's regular trappings by heading out on a nice, enjoyable ride. I'm thankful I can stop, look around, smell the roses and really absorb all the beauty around me. I'm thankful that jack-wagon I call my friend will eventually put away the #$@*% camera and help me get out of this mess. And I'm thankful it's Friday, Sept. 25, 2015. 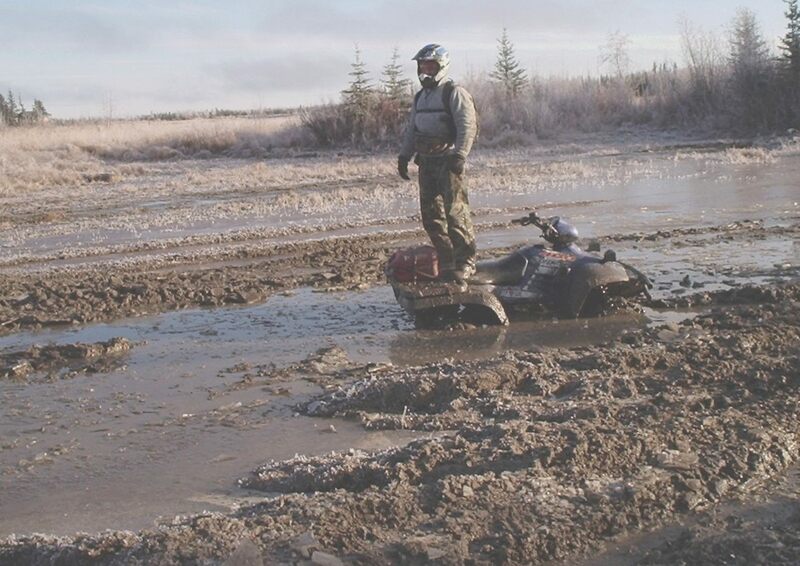 Arctic Cat is a company loaded with talented, creative, passionate and hard working engineers. 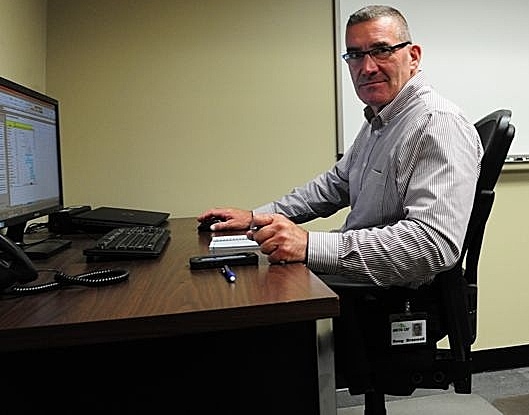 In the Snowmobile department, Doug Braswell is the person whose job is to direct that amazing engineering workforce to produce the best snowmobiles in the world. The multi-faceted man was gracious enough to answer key questions about his role, how he’s organized the department and some clues to what we can expect for future product. Click for the engineer's perspective. 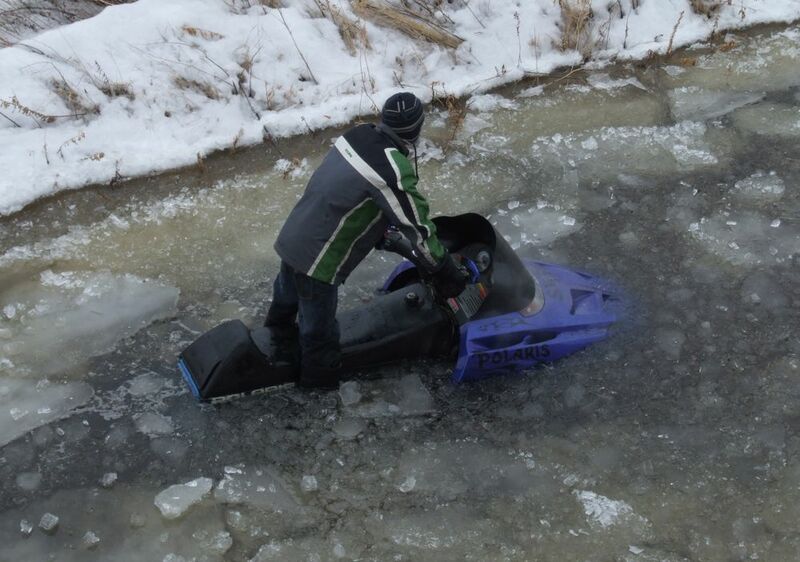 I'm thankful there's a wintertime equivalent for those of us who are Born to be Wild. I'm thankful that no matter if it's one track or two, single ski or more, twist-grip or throttle lever...that we can all just get along as we bang ditches and blast big air. I'm thankful that what's old is new again. And I'm thankful that it's Friday, Sept. 18, 2015. 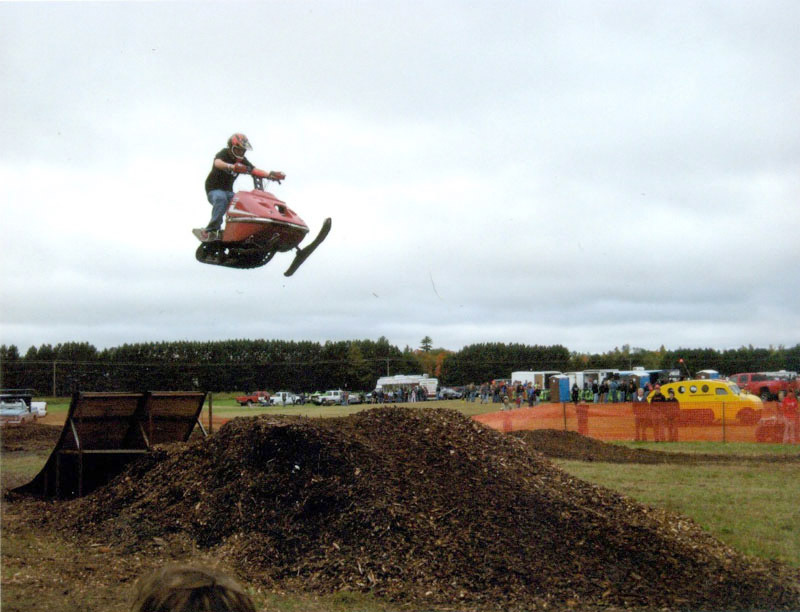 ...Here's a guest commentary about Hay Days from Rodney Dragan, ringleader of the merry band of snowmobile thugs known the world over as "F.H.U.C.-S.T.I.C.S.". 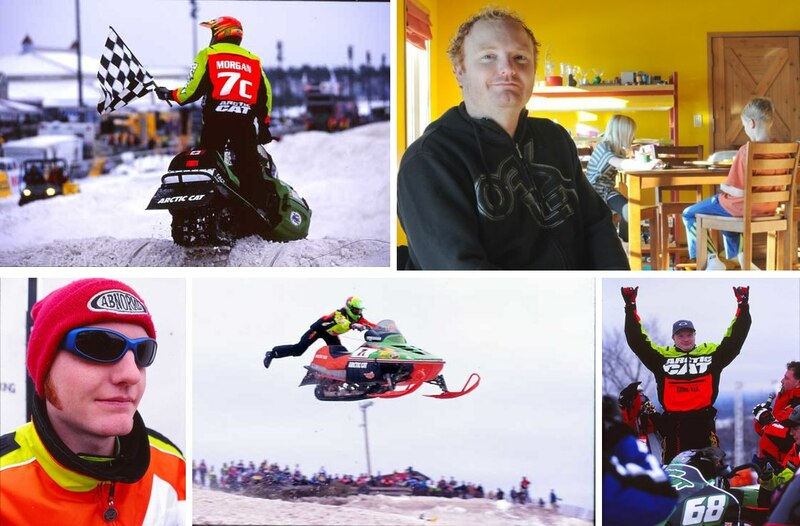 The 49th Sno-Baron's Hay Days extravaganza went down this past weekend in near perfect splendor, unleashing the excitement of snowmobiling via wild mix of products, people, racing, swapping and anticipation. Click for a sample of what could be seen during the weekend. 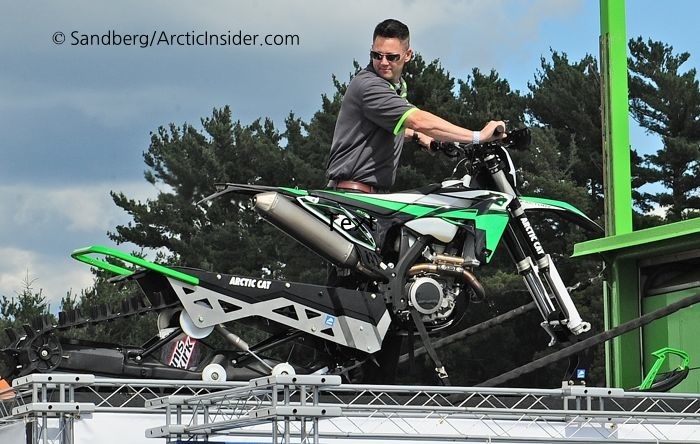 In what was probably the biggest surprise of the event (and truly a sneak peek), Arctic Cat briefly unveiled a single-ski type snow vehicle at Hay Days this weekend. It was just a tease, with VERY limited information and a VERY short cameo. The single ski machine appeared for about 1 minute atop the Arctic Cat truck before disappearing. Click for some pix, limited info and speculation based on my photographic evidence. UPDATED on 9-15-15 with more detailed information on several items for each sled. 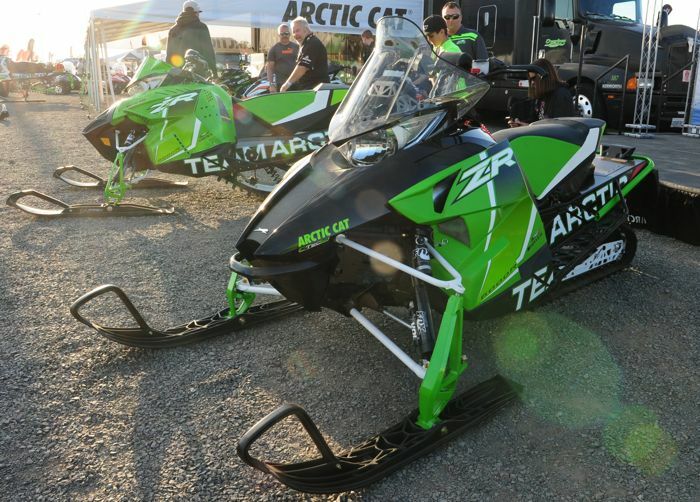 Arctic Cat unveiled its 2016 snocross and cross-country race sleds at Hay Days this past weekend, each getting a host of updates. New exhaust system... new brakes... new track... new cool stuff! 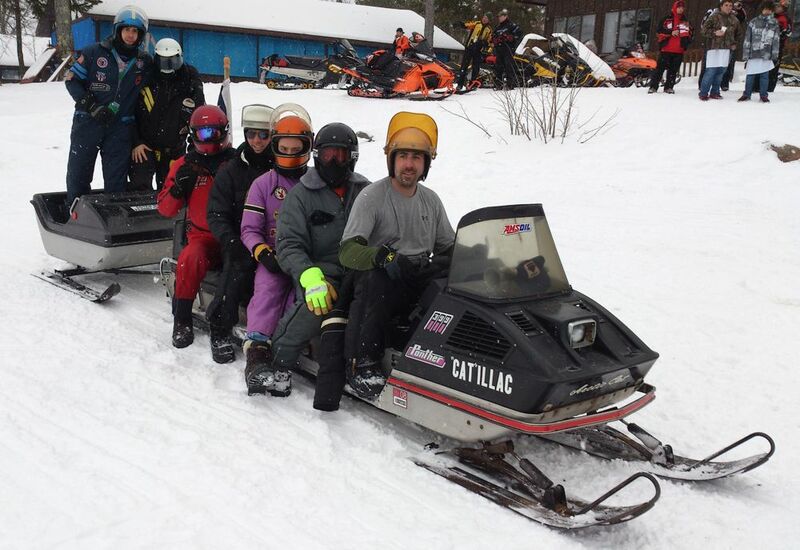 Race on over to a full description of each sled. I'm thankful it's the day before Hay Days (although it's actually the day that most swappers make deals). I'm thankful so many from the wide world of snowmobiling are descending upon North Branch, Minnesota, bristling with expectation of what they'll see, find, sell and hear at 49th annual start of winter. I'm thankful we can all pause for a moment today and say a prayer for the many thousands who suffer sadness, loss, heartbreak and more on Sept. 11. And I'm thankful it's Friday, Sept. 11, 2015. 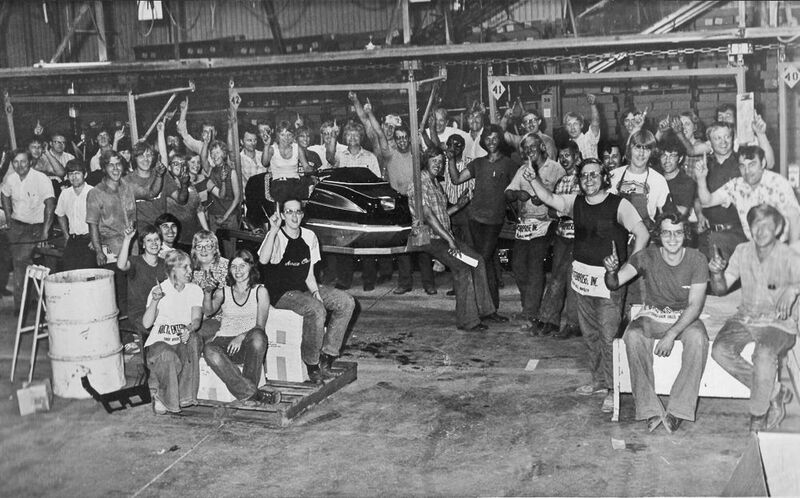 I'm thankful for the men and women who produce the coolest damn machines in the whole world, whether it's 1975 or 2015! I'm thankful that, in the U.S. and Canada, it's Labor Day weekend. And I'm thankful it's Friday, Sept. 4, 2015. 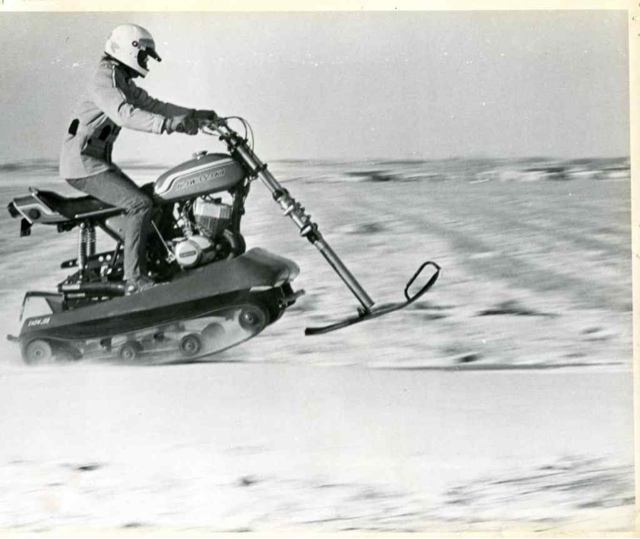 Arctic Cat vintage (and mid-school) collectors have a treat in store for them this weekend near Eagle River, Wis. 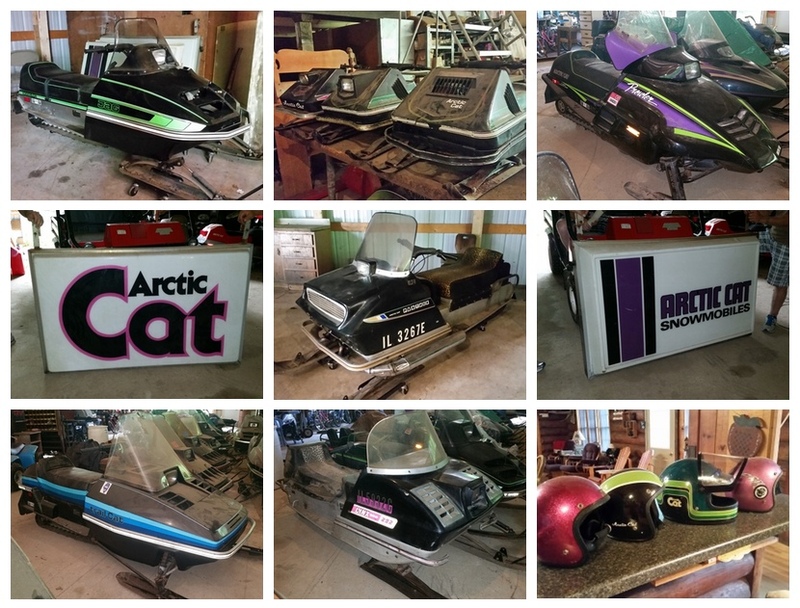 There, an estate auction for George Siebens, a 20-year Arctic Cat dealer from Illinois will take place in which many cool, old Arctic Cat snowmobiles, parts, clothing and assorted stuff will go home to the highest bidders. Brand new, never-started Jags; 634 Hirth Panthers (with Montana pipes! ); Trail Cats; Kitty Cats and more will find new homes, perhaps yours? Click for more info and pix. 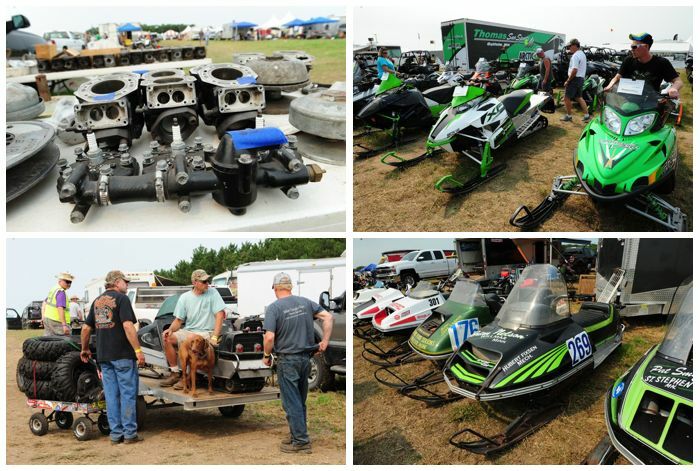 Nothing signals the end of summer and the beginning of autumn quite like a snowmobile swap meet. For me and several thousand others, the annual Swap/Outlaw Drags in Princeton, Minn., served up all the great reminders that our favorite season is only a few months away. Click to see some pictures of this year's event. I'm thankful that this week, Ma Nature gave us the first cool temps of the summer. 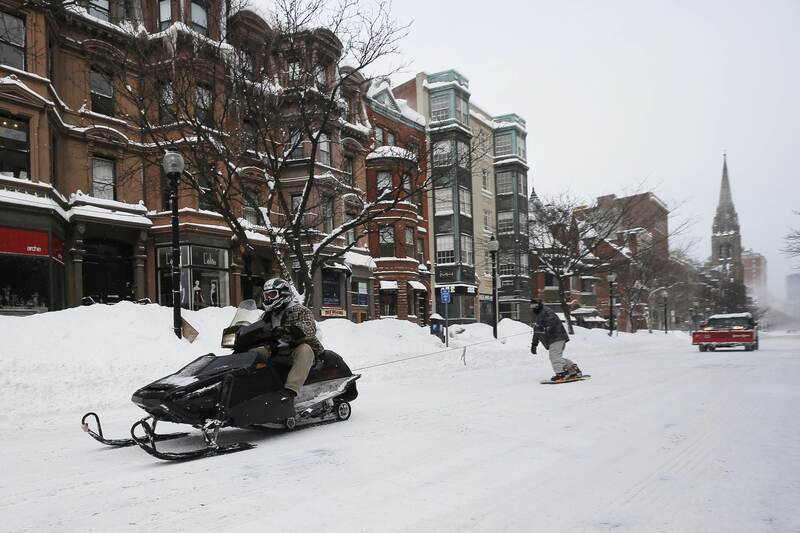 I'm thankful the cool temps reminded me of the snowmobile and snowboard adventures from last season, just goin' fer a rip* around town with my bud. I'm thankful for it all, and especially for another great Friday...this one in Aug. of 2015.